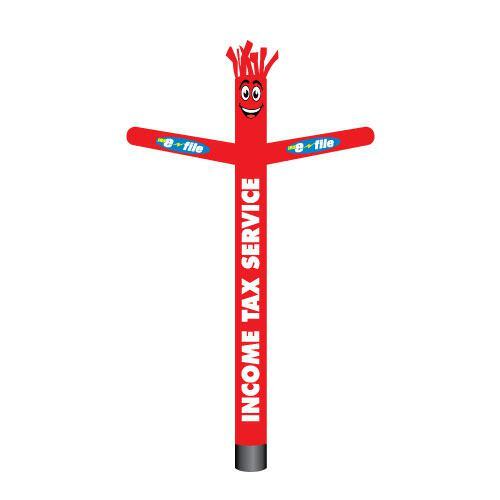 Many tax service franchises love our inflatable tube man designs. Each is professionally designed to create clean visual noise. 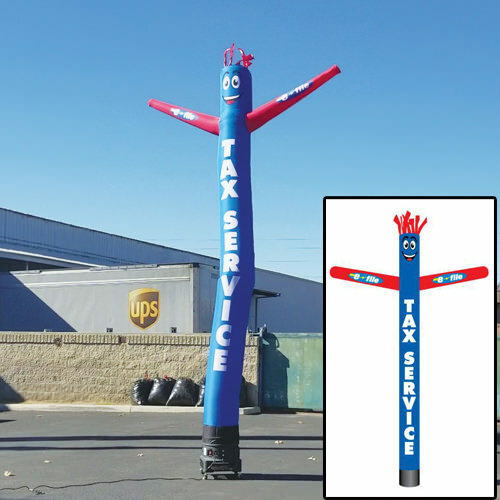 Our tax service air powered tube dancers have proven to increase traffic to businesses. 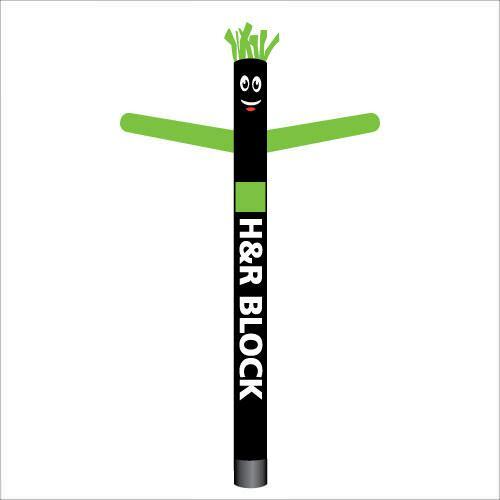 Pair them with our custom tax service feather flags for even more increase in sales. 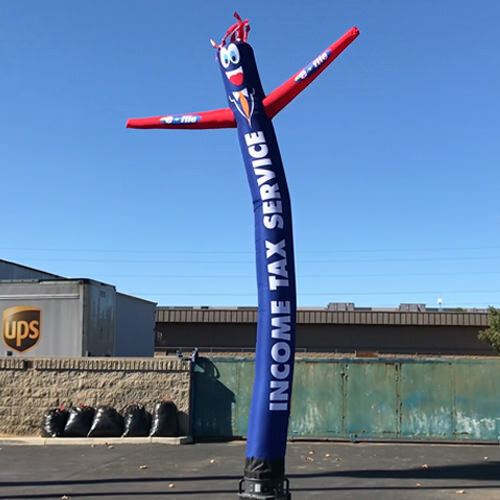 We use rich and vibrant colors to when creating our tax service inflated dancers, which means they are visible from hundreds of feet away. 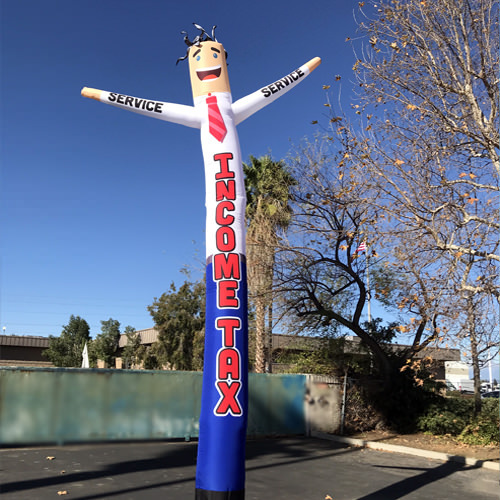 Due to the 20ft height of the puppet (with blower), the text typically is 15” wide, making it easy to read from at least 150ft for most people. 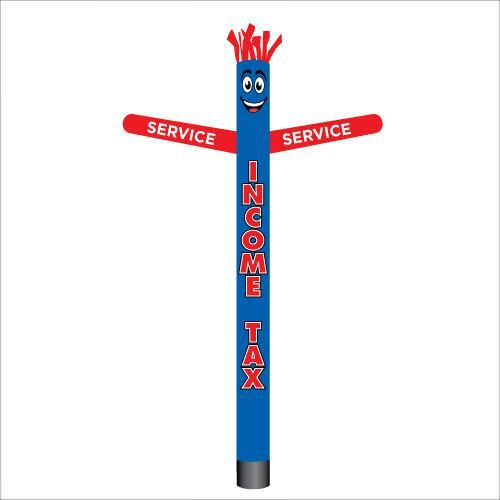 We also have a huge variety of other tax advertising signs for you to market your business. Make this year your best ever with our low cost signage.